Spring officially arrived just this week and there is plenty of activity out in the garden, all this in spite of the unsettled weather conditions. We’ve been teased by seventy degree temperatures recently, only to have it turn cold again the following day. This week has seen heavy rains, snow showers, thunderstorms, and now a forecast for a low of twenty-two degrees tonight and snow accumulating over the weekend! Bouquets of crocus flowers are scattered about the garden to add a nice touch of spring color as they wait to be joined by the forsythias and other early spring blooms. 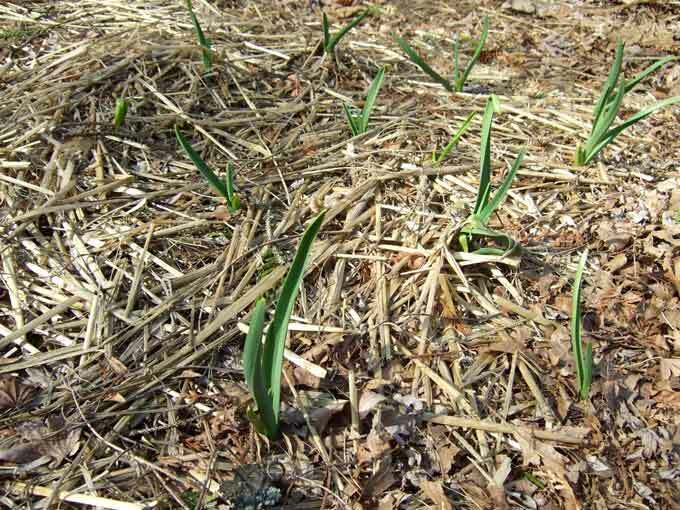 Garlic was one of the first crops to awaken and peek up through a thick mulch of straw and even the snow that covered the ground during late February and early March. 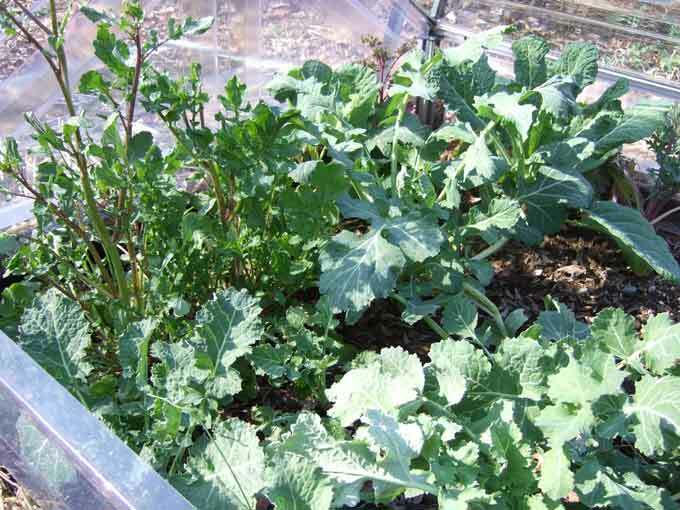 Fall planted leafy greens were over wintered in a cold frame and have already reached harvestable sizes to yield fresh, organic produce for the kitchen! After trying for several seasons to eradicate these ornamental onions from the herb garden, I’ve finally given up and will leave them alone as they race to get off to a fast start each spring. 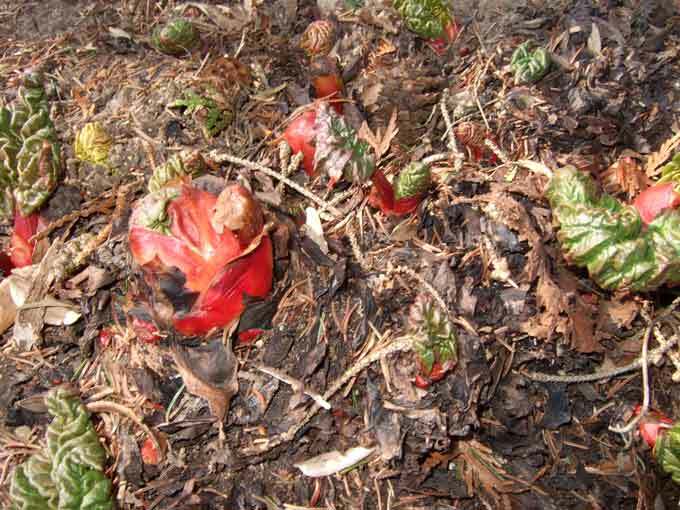 While it’s not very recognizable at this stage, the rhubarb is putting forth the odd looking bumps and foreign growths that always precede the huge stalks and leaves that will soon follow. 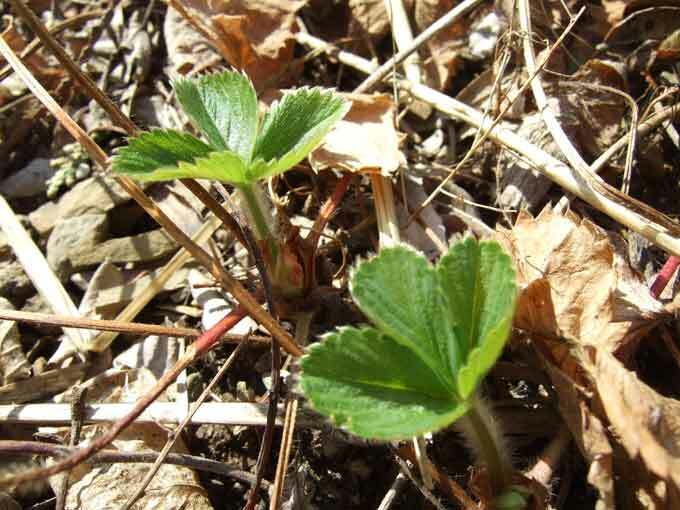 Strawberries were planted in the garden last year and have made themselves right at home and returned as they continue to spread by sending out runners to cover the bed and travel beyond their designated growing area. 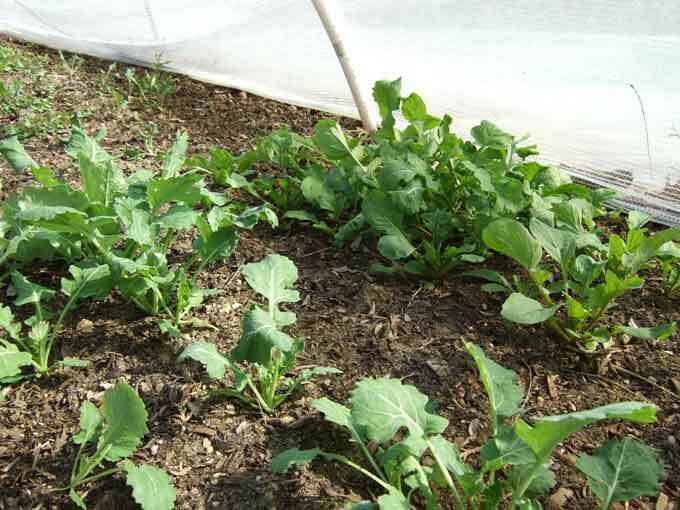 A low tunnel contains a nice mix of everything from lettuce, kale, and mustards, to beets and carrots that were all sown in November or December and germinated as they saw fit throughout the winter months. 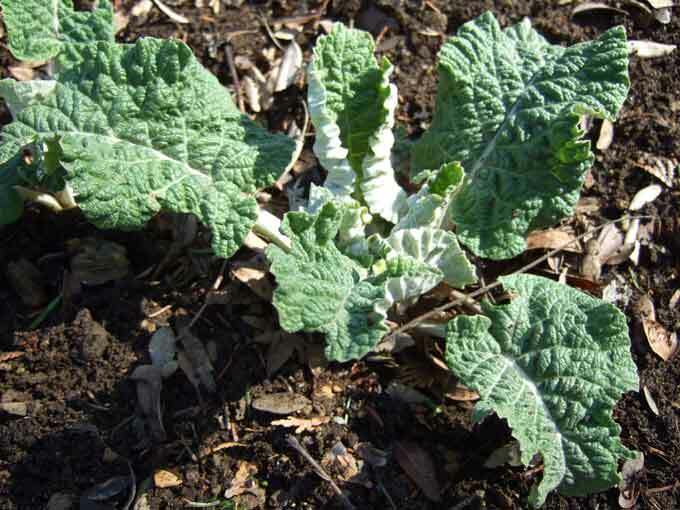 The Burdock roots (Gobo) hidden underground are now marked by their leaves which will make it a lot easier to locate and harvest them now that the garden’s soil has thawed. 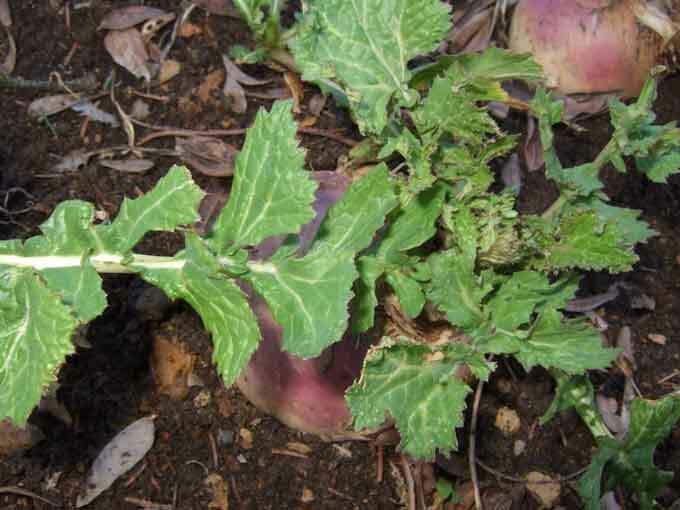 Turnips that were left in the garden also survived with no cover and have started producing new leaves. These roots and leaves will provide another extra early treat from the veggie garden. 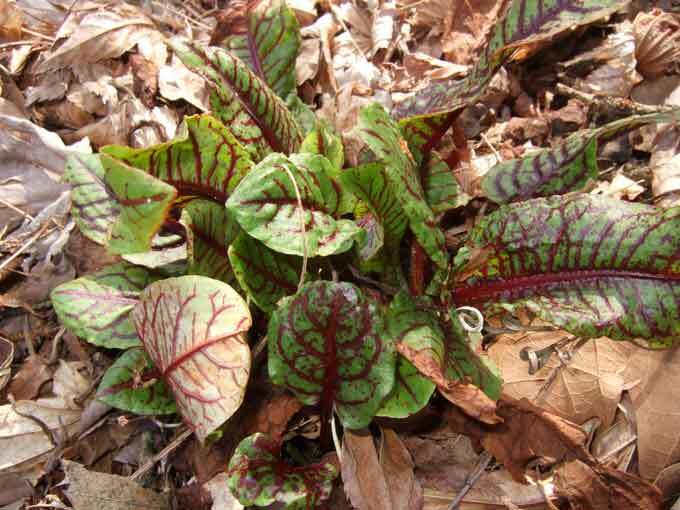 Then there are the herbs such as this sorrel plant sprouting up all over the place. Others showing some signs of early growth include chives, horseradish, and sages. The garden’s activity isn’t limited to plants; the fish in the pond have survived another winter, the bees are venturing out on warmer days, birds have returned from their southern shelters, and rabbits are already trying to stake their claims to the next harvest. If you live and garden in the Central Pennsylvania area and want to stay on top of the local gardening conditions, events, and news check out Central PA Gardening, a new website where myself and a group of local writers, bloggers, and friends will report on what’s green and growing here in our local region. 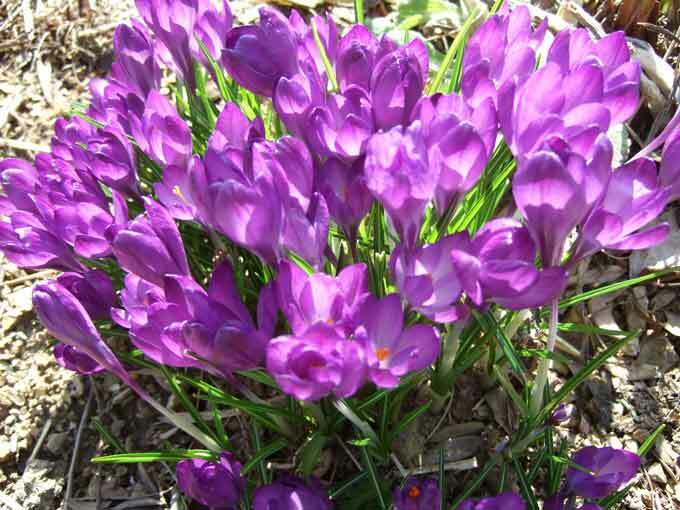 In the meantime leave a comment below to let us know if spring has actually made an appearance in your neighborhood, and to share the plants that you have spotted which are restless and antsy to get growing! I’m a new gardener, so I just have spinach and lettuce growing in my Arkansas garden. My chives grew almost all winter and have really taken off this morning. Great Article and nice Photos, Kenny! Here in South Central Texas I have the opposite problem- Already getting late in the season. Temps are already tickling the 90’s, and many gardeners missed getting their cold weather crops in this Spring ( I think Spring was a day in February! ) I’m just hoping the Peas make it before cooking on the vine in the hot Texas heat. Kenny, next post, take pix of those pernicious weeds that lurk through winter and attack so early… chickweed, pepperweed, purselane later in the season, etc. Some new gardeners may need an ID for them. Mention those that are actually edible. As for me, the broccolis and cabbages that went into pots last fall are looking good. We’ve cut broc several times already. I will definitely try that again next fall. The horseradish is showing a rusty ferny frizee’ of leaves out there under the pear tree. I pulled the last of the leeks, turned the bed on a dry day, set in store-bought coles and strewed some seeds of lettuces, beets and radishes. The weekend’s cold and snow should not harm any of them. 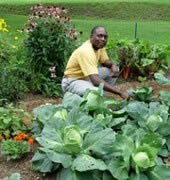 Can’t say much about plants, but I’m sure restless and antsy for spring to come and get out to the garden. I live in Bedford county so I can attest to similarly crazy weather as you mentioned. I am starting some seeds indoors and the garlic I wintered over seems to have survived pretty well. I’ll definitely need to check out centralpagardening.com…thanks for the tip! Thanks Kenny! Great to see what is happening where you are. Here in the depths of Wisconsin, we are still thawing out too, and not much is happening. My chives are determined though and have survived several recent coverings of snow since their emergence. 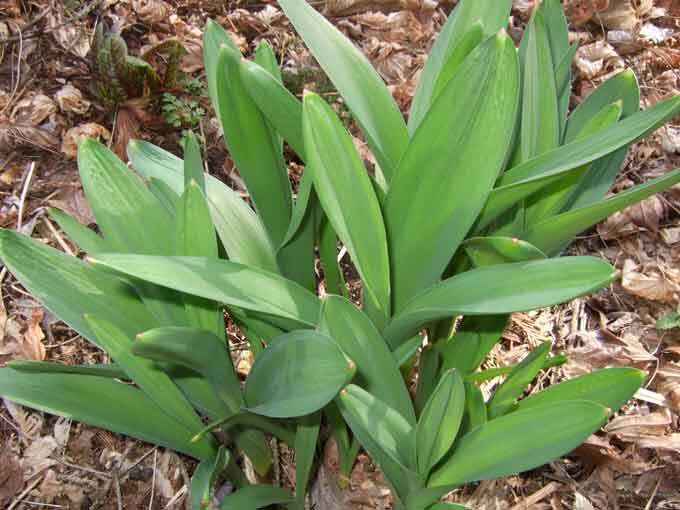 Flower bulbs have just started here – daffodil and tulip, I suppose …as they do every start of every season. That is a good sign! Anyway, great to read what is going on in your garden! Though somewhat behind, looking forward to more things checking in here very soon! Wow, what an amazing garden! I live in North Texas (8a) and am amazed that kale, chard, spinach, and other greens I planted last September actually survived the brutal 9 degree temperatures we experienced this Winter. And with nothing but a thin row cover thrown over them. I was counting on reworking those beds for my Spring veggies, but lo and behold the greens came back and are as bountiful now as they were all Fall. And we do love our greens, so i’m using other beds for my veggie seedlings, which have been under lights for the past couple of months. 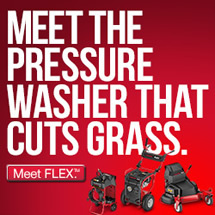 Great site! I’ve starting charting my progress as well. Great report! I feel ashamed I didn’t sow more early spring seeds last fall, but there’s always so much to do. Our peas are in, at least, and have started sprouting. And the chives are up, of course. Bindweed is starting to show up, too. Ugh. Here comes spring! Hi Kenny! 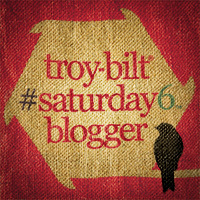 Great blog and loved your bio. I am a beginning gardener and am determined to grow something in our backyard garden here in Brooklyn NY. what a beautiful garden! with so much variety. happy planting! Hi Agatha, thanks for stopping by, good luck with your garden and let me know if there is ever anything that I can do to help! Thanks Allison, happy gardening to you also!